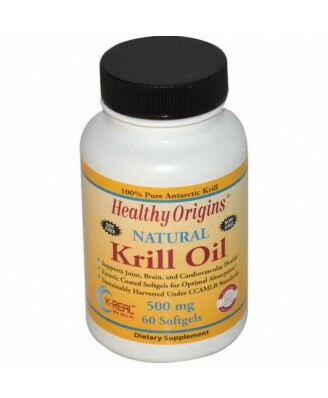 Healthy Origins Krill Oil is extracted from the Euphausia superba species of krill found in the Antarctic waters of the southern ocean. Euphausia superba, with a biomass of over 500,000,000 tons is one of the most abundant life forms on the planet. 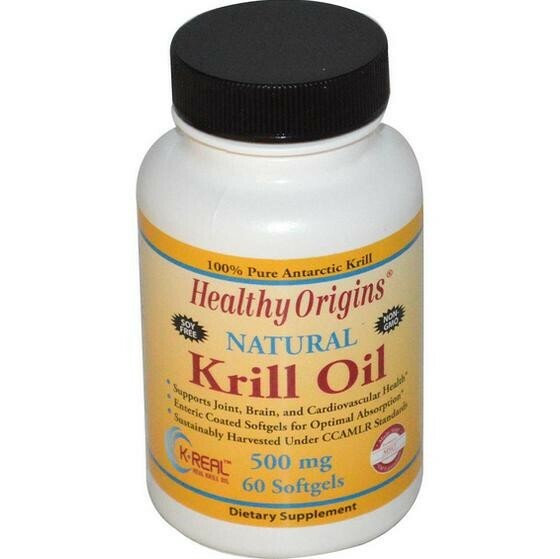 Since the 19th century, krill has been harvested as a food source for humans and animals, but only in more recent times has it been harvested to extract the oils contained within the krill. These oils contain substantial levels of Omega 3s, Phospholipids and Astaxanthin. 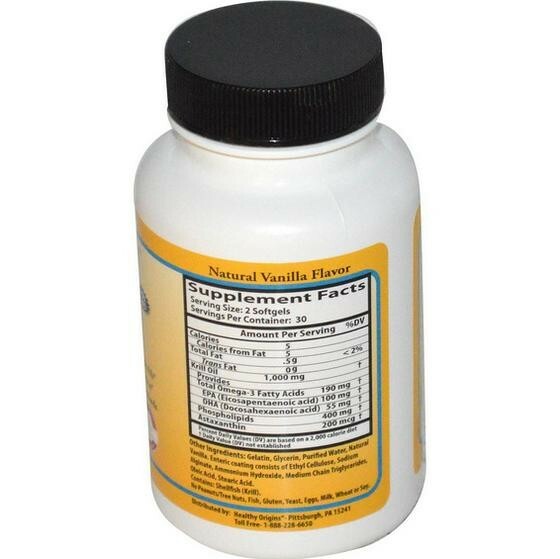 Gelatin, glycerin, purified water, natural vanilla, enteric coating consists of ethyl cellulose, sodium alginate, ammonium hydroxide, medium chain triglycerides, oleic acid, stearic acid.Contains: Shellfish (Krill).No peanuts/tree nuts, fish, gluten, yeast, eggs, milk, wheat or soy. 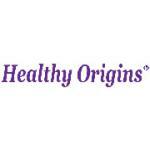 As a dietary supplement for adults, take two (2) softgels daily with your first meal, or as directed by a physician. Gelatin, glycerin, purified water, natural vanilla, enteric coating consists of ethyl cellulose, sodium alginate, ammonium hydroxide, medium chain triglycerides, oleic acid, stearic acid. No peanuts/tree nuts, fish, gluten, yeast, eggs, milk, wheat or soy. If you have a seafood allergy, coagulopathy, or are taking anti-coagulant or other medication, please consult a physician before using this product. As a dietary supplement for adults, take two (2) softgels daily with your first meal, or as directed by a physician. , If you have a seafood allergy, coagulopathy, or are taking anti-coagulant or other medication, please consult a physician before using this product.